Parental Control Software - Control your kids' online activities - Something New Everyday! 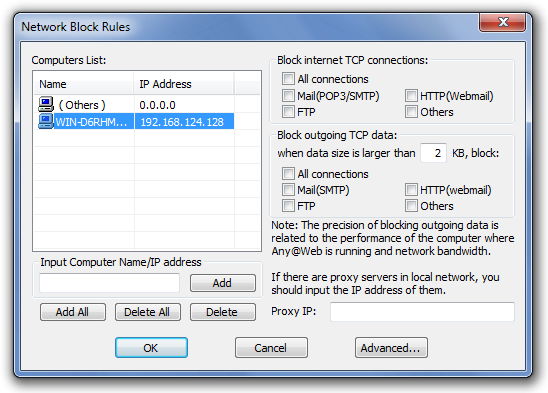 Many parental control applications are restricted to checking and/or blocking content according to some defined parameters. However, before one can block inappropriate content, sometimes it is necessary to profile the habits of children to find any loopholes that may remain open even after a block is set in place. For example, you might be interested in blocking webpages which may be displaying ads with explicit content, whereas your child might require using the same website (to which the webpage belongs to). SurveilStar Activity Monitor is a free parental control application that records the activity of a system, and allows imposing precise blockage rules to control online content that can be accessed from a computer. You can install Activity Monitor on the system that you wish to monitor, and regulate the set of rules for blocking webpage types. For example, you can set filters by specifying the audio, video, image and other file types. 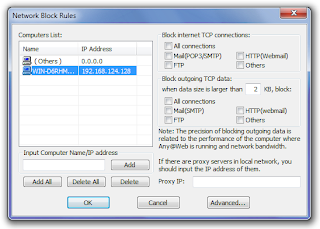 The Network Block Rules feature of Activity Monitor provides the option to block TCP connections (All connections, POP3/SMTP, FTP, HTTP and others), block data according to packet size, add IPs to block and add a proxy server IP (if any). Once you have configured your parameters, click the Start (Play icon) button from main interface. The wide range of options presented by Activity Monitor can not only be used for parental control purposes, but also to keep an eye on the activity of, or to block access for, an employee, co-worker (e.g., on shared computers) etc. 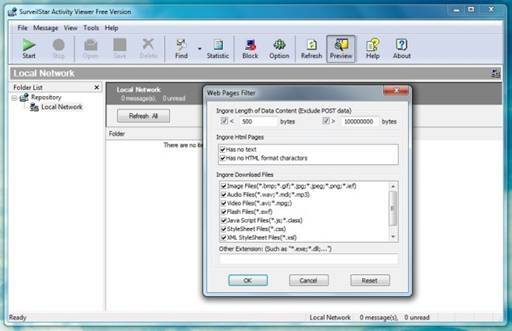 Activity Monitor creates a log of all online activities, which includes anything from browsing history, Windows Live Messenger chats, emails, FTP connection history (downloaded and uploaded FTP files) and more. It must be noted that the icons on the main interface can be a bit misleading, as the Internet Explorer icon displays browsing history for pages browsed even from other browsers like Firefox.